The elegant and life-affirming city is not only Germanys banking capital, the nation’s largest international airport and host of many international trade shows; it also shows great possibilities for MICE groups in the city and its surrounding. 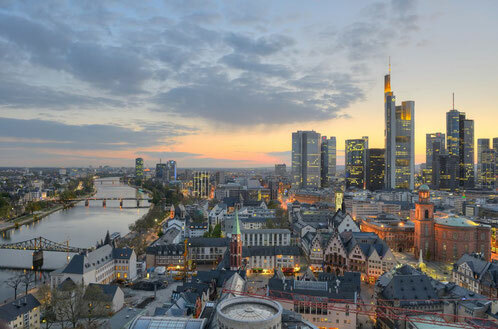 With its skyscrapers directly located on the river Main, Frankfurt offers a unique skyline, which appears in a fantastic atmosphere, especially in the evening hours. The busy city is often called Mainhatten and is filled with restaurants, shopping centers, great clubs, cultural diversity and unique architecture. 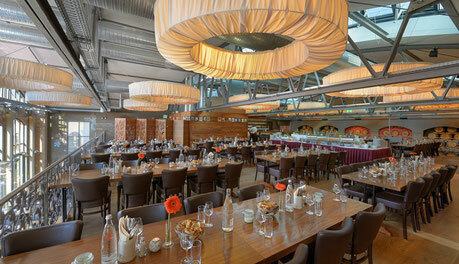 Frankfurt offers the perfect mix for exciting trip. Fashion hotel and culture directly located near the city. The 76 rooms were inspired by the history of the Levi’s Jeans, creativity and trendy designs run through the all of the rooms. 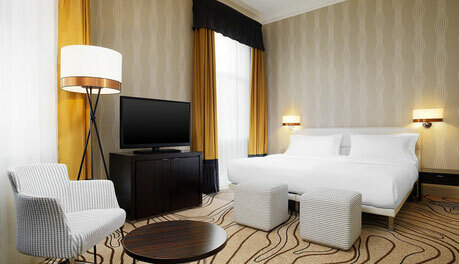 The 25 hours hotel tailored by Levi’s is not only a place to sleep, but also for entertaining and relaxing. This recently opened hotel is characterized by the modern design and stylish, elegant architecture. The bathrooms have a special “state-of-the-art” concept and underline the trendy atmosphere. Furthermore, the modern meeting concept offers new and diverse ways for creativity and meeting success. The elegant hotel is located near the central station and offers with its special design a unique selling point. It is divided into two different parts: modern and historical interior – that is why every guest feels comfortable with the fantastic hotel. It treats the resources with care. They have implemented various sustainable measures to protect the environment. Located in the opera of Frankfurt, the restaurants cuisine interprets international classics with regional and seasonal products and each menu can be served with the corresponding wine. 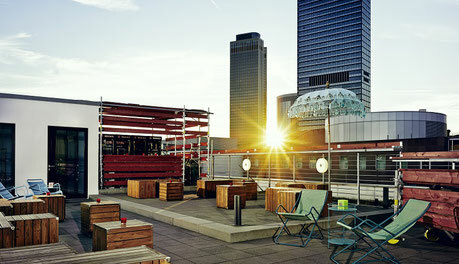 Having an aperitif on the terrace with a view over the skyline makes the stay even more unique. This restaurant is characterized by a fantastic historical atmosphere: An old train station has been converted into a stylish restaurant which serves regional meals from Frankfurt and its surroundings. The interior is designed in a historical and modern way, definitely an absolute highlight! 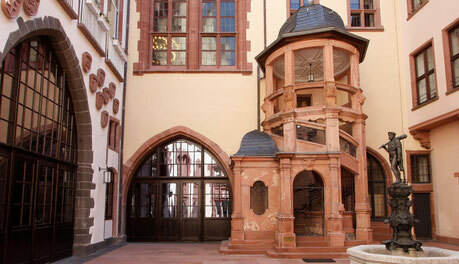 The Römer is the most famous monument of Frankfurt and is located in the heart of the city. 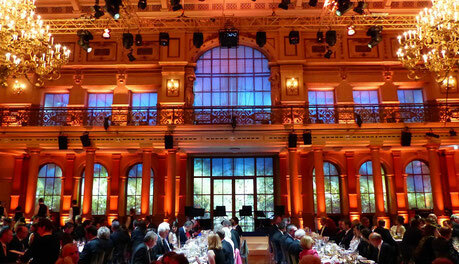 It offers a glamorous stage for a wide range of event possibilities. Over 600 years of history have shaped these halls, which are well-suited for receptions, corporate festivities and product presentations. The location is located in one of the largest botanical gardens in Germany. The locations offers five event rooms for groups from 60 up to 600 persons. The great height of the rooms and their unique daylight ceiling create a beautiful atmosphere. 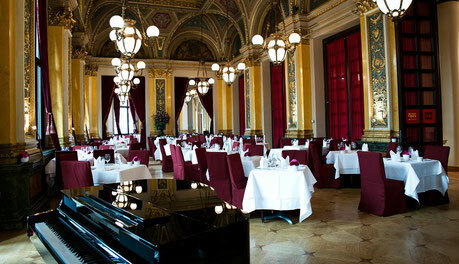 The location can be used for dinners, gala events or meetings. The villa was built in the year 1898 - today it is a location for exclusive arrangements. Kameha Suite offers five rooms for all kind of events, like conferences, award ceremonies, private parties or social gatherings. 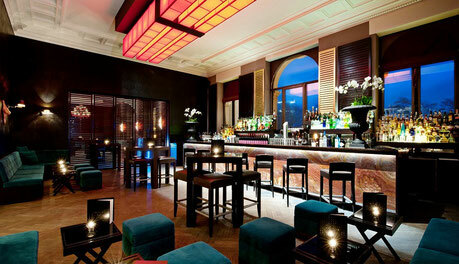 The stylish location is well-known and has won several national awards. 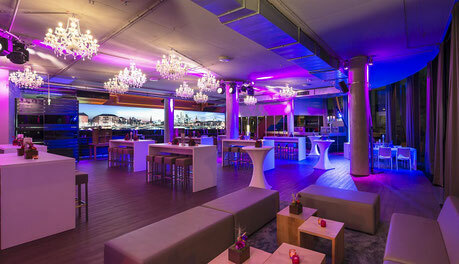 The location Westhafen Pier 1 convinces with its industrial charm and a direct view of the riverside promenade. The event location is suitable for large business events and exhibitions, spectacular presentations and exclusive festivities. The four event rooms of the location are for up to 800 guests. The Black Box Team Game is a perfect teambuilding activity. Whether it's a small company party or a complex team building event: The groups experience an extraordinary team challenge, as a lot of team spirit and good communication is needed to solve the puzzles. This fun activity is for 10 up to 300 persons. 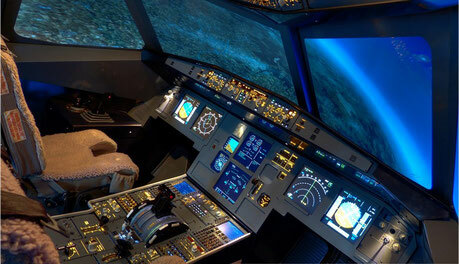 With the flight simulator one can experience what it feels like to be a pilot. This event takes place at Frankfurt airport and offers the opportunity to discover the world from above. One can choose to take a round above Frankfurt International Airport or make a fantastic approach at the famous airport Saint Maartem in the Caribbean. This activity takes the group back in time and let them experience how it used to feel. 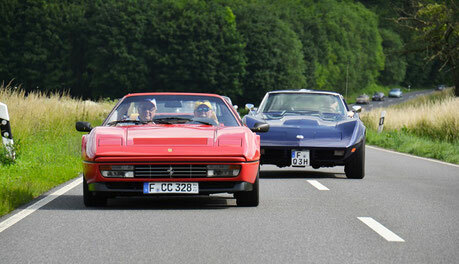 All cars are high-quality and vintage cars and the fleet is constantly being expanded and maintained at a high level. The group has the unique opportunity to explore Frankfurt surroundings with the perfect nostalgic feeling. Click here for more information of Frankfurt.